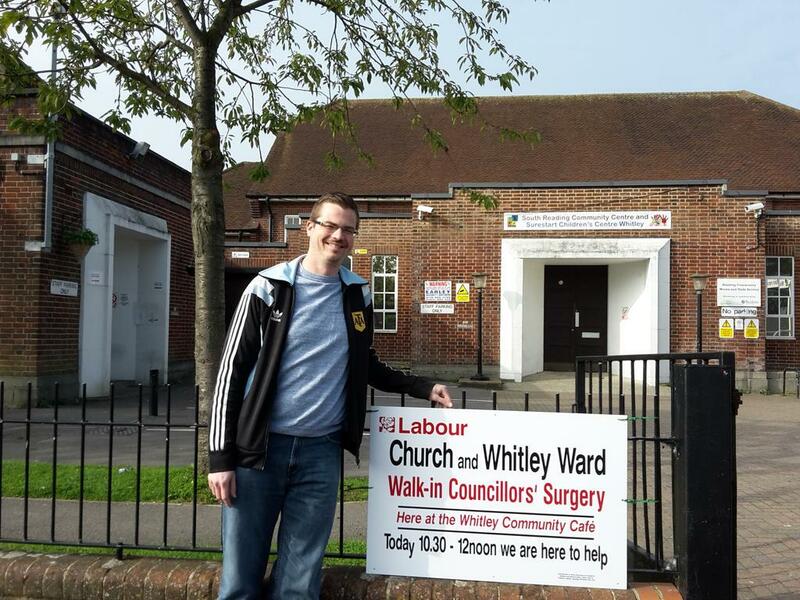 Ashley and Eileen were able to speak to residents at the Church ward monthly surgery this morning as well as residents on the street. 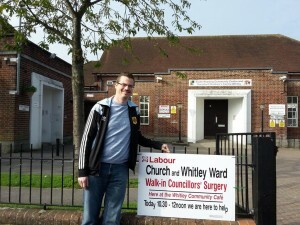 The ward surgeries take place on the first Saturday of every month at 10.30am at the Whitley cafe, now accompanied by a new sign! The next surgery takes place on November 7th and we’d love to hear from you! This entry was posted in Ward News on October 3, 2015 by Ashley Pearce.